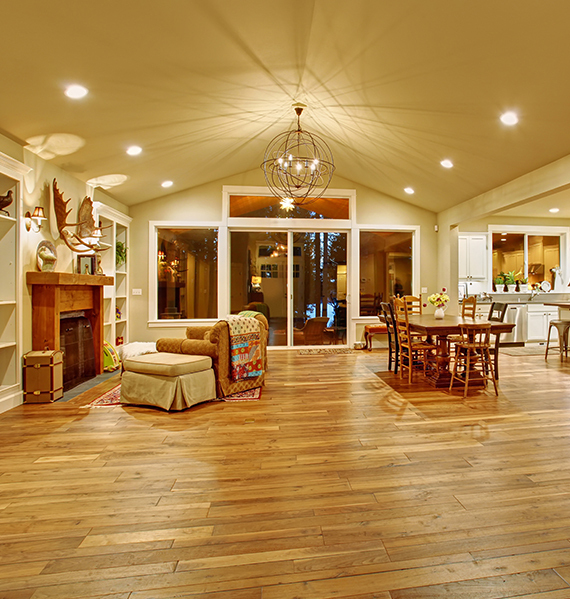 We offer a vast array of turn key site finished floors for your home. Such as many different domestic and exotic hardwood species. Domestic species included but not limited to: red and white oak, hickory, maple, American cherry, ash, walnut, . Exotic species include Brazilian cherry, Cumaru, Ipe, tiger wood, Caribbean heart pine, santos mahogany, just to name a few. All site finished floors can be custom ordered to fit the clients needs as far as the grading of lumber, which includes select, common grade and character grade as well as varying face widths. From narrow floors to a wider plank floor look. The beauty of a site finished floor is it gives you the look of a traditional wood floor that is timeless in design and functionality. Site finished floors have a lifetime structural warranty and can be refinished multiple times giving these floors the longest life span of any flooring option.